Finally get access to a seven figure CEO to help you lead your business through the most challenging time since the great depression at a fraction of the cost. 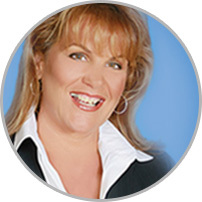 For the first time ever, MaryEllen Tribby is accepting a limited number of clients for the ultimate coaching program. This powerful resource is designed to propel your business into real profitability. There are plenty of so-called coaches and mentors out there. Many who have never run a real business and forget about growing one! NO BRAINER . . . When working with a coach, wouldn’t you want to trust your business to someone who as actually built and grown multiple businesses? Someone who has doubled, tripled and quadrupled PROFITS? MaryEllen Tribby is not only an Agora Insider (not to mention Weiss, Forbes and Times Mirror Magazines), she has also made hundreds of MILLIONS of dollars for her clients, her employers and herself! Now, She Can Help You, Too! MaryEllen’s clients typically pay her $25,000 for a day and a half onsite fee. However, she is also aware that most small businesses and start-ups simply cannot afford this rate. That’s why she created “The Boardroom,” to give you access to the “Mentor to the Mentors”. Just look at what some of her clients had to say about their time working with MaryEllen. Real People - Real Businesses! MaryEllen is the Real Deal! MaryEllen was the first person I called! MaryEllen is the Best Mentor I Have Ever Worked With! “After 90 days of 1-on-1 mentoring with ME, we went from being a freelance business with an Alexa ranking of 1 million to 193,183, a list of 3,000 to 40,000 customers. I went from doing all work by myself to 1 employee and 3 contractors, and partnerships with ETR and other big clients! She is THE BEST mentor I've ever worked with! To say my time with her had an impact on my business is an understatement- it was RADICALLY life changing!" MaryEllen Helped me Secure my Future! "When I got the opportunity to be mentored by MaryEllen, I jumped at the chance. One of the most important things she taught me is to STOP doing so many things that were wasting my time and energy. Working with MaryEllen helped me grow my list, stabilize my business and give me the peace of mind knowing that I know that my future is secure." MaryEllen Walked Me Through an Actionable Step by Step Plan! “In the male dominated world of direct response advertising and business, it would be an insult to say that MaryEllen has no problem keeping up with the boys… because every time I’ve been in a room with her, it’s the boys who are trying to keep up with MaryEllen. Nevermind intelligence and savvy, those traits are a given… MaryEllen “owns the room” by engaging everyone with a caring touch and genuine wit. She’s one of those people you can talk to for ten minutes and feel like you’ve known her for ten years. That’s a sign of true character, you can’t fake that. Even though MaryEllen has crossed more milestones in her career than most of us have the nerve to plan for… being around her gives you the confidence to believe you can do the same (and even make it fun). I Have MaryEllen on Speed Dial! “I’ve known MaryEllen for just about 14 years and in that time, I’ve never met another person with more hands-on, real life direct response marketing experience and knowledge. MaryEllen has proven her expertise over and over again from building Weiss Research into a recognizable brand in the newsletter industry to most recently creating a blockbuster success at ETR that broke all sales records. Can You Really Afford Not to Get a Seat at the Table? MaryEllen has assembled what she believes is the best combination - PRIVATE and group coaching in one package. Weekly Skype office hours: Each week you will be able to ask MaryEllen ANYTHING about your business in the privacy of your own home or office via Skype text. All questions and answers are confidential. And this happens EVERY WEEK! Monthly Group Coaching Calls: Once a month the entire Boardroom is invited to a group coaching call. This will be an open Q&A. We will give everyone the opportunity to have their question answered so you can be continuously moving forward to massive profits. From time to time, I like to surprise my clients by inviting an expert from my Braggable Network to join me and share their expertise. 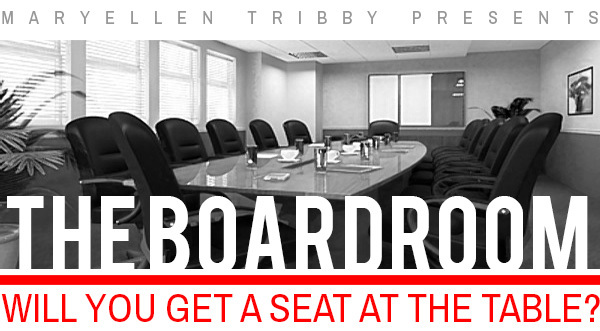 Access to a Boardroom Members Private Facebook Page: This page is only for active members. MaryEllen will be checking in daily to answer questions and give real business advice. This is where your colleagues will bring their brilliance as well to help keep you moving forward. An Invitation to MaryEllen’s Annual One-Day Mastermind in Beautiful South Florida: MaryEllen loves to meet her clients in person and when she does, magic happens. This special day will be full of hot seats, problem solving and revenue idea generation. MaryEllen will even invite a “special guest” from her Braggable Network. Previous guests at MaryEllen’s events have included Mark Ford (aka Michael Masterson), Clayton Makepeace, Porter Stansberry, Jeff Walker. And that’s just to name a few (please see details below). When success guru Napoleon Hill interviewed Andrew Carnegie, inquiring as to the secret of his success, Carnegie replied that it could be traced to the “sum total of the minds”. He called this combined brainpower a “master mind,” and attributed to it the power of his success. Too many so-called gurus have read a few business books and took a couple of courses. Then, all of sudden they think have the chops to guide you. Well, here’s a wake-up call. Real life happens and business theory is very different from business reality. That’s why you want someone with a real, repeatable track record, someone who has built multiple businesses in different niches in multiple countries around the world. MaryEllen began her ascension to success in the early 1980’s after attending the prestigious university known as NYU (New York University). She then began her career in publishing at such companies as Crain’s New York Business, Times Mirror Magazines and then on to Forbes. During this time, she was able to perfect individual channels of direct response marketing. Steve Forbes had an incredible impact on MaryEllen’s destiny and also grew to be an extremely impactful mentor. Many years later, MaryEllen still sees Steve at dinner parties and events. MaryEllen was recruited to South Florida for a position of Vice President at a company called “The Globe”, which dominated the newsstands globally. During the 1990s you may have seen MaryEllen’s marketing presence every time you paid for your groceries with point of purchase publishing/marketing. More recently MaryEllen was the highly acclaimed Publisher and CEO of “Early To Rise” where she was responsible for growing the business from 8 million dollars in sales to 26 million dollars in just 15 months and doubling the list size to well over 560,000 members. During this time, she learned and executed the inside workings of Agora International and created her own Agora Model in South Florida. Throughout her tenure at Agora she lead many meetings and had many visits and dinners with Mark Ford aka. Michael Masterson and Bill Bonner. Many of these gatherings took place in Baltimore, South Florida, Paris and London. With these kinds of partnerships, her business knowledge exploded! Before that she served as President of Weiss Research where she lead the company to 67 million dollars in sales from 11 million in just 12 months and made Safe Money Report the largest in the world at the time. During this time she soaked up every morsel from the world’s highest paid copywriter, Clayton Makepeace. MaryEllen and Clayton were a team for nearly seven years! Between MaryEllen’s marketing genius and Clayton’s copy brilliance, they turned Safe Money Report into the world’s largest paid financial newsletter. "MaryEllens’ diversity of experience is equaled by less than 10 people in the world"
Today, MaryEllen is the proud Founder and CEO of WorkingMomsOnly.com. The world’s leading newsletter and website for the empowerment of the working mom. Her newest project MaryEllenTribby.com, gives you access to the highly sought after CEO through her weekly newsletter “The CEOs EDGE”, and her Consulting Services. Her new book, published by Wiley Brothers, “Reinventing The Entrepreneur - Turning Your Dream Business into a Reality”, was just released in November,2013. Within hours, this book soared to the #1 spot on Amazon and held that spot for weeks on end. MaryEllen’s previous book (which she co-authored with Michael Masterson) was published by Wiley as well. “Changing The Channel: 12 Easy Ways to Make Millions for Your Business”, skyrocketed to number 1 on Amazon within 10 hours of its release. Today, MaryEllen is known as “America’s CEO”, because it is her mission to help as many entrepreneurs as possible realize the American dream, build their businesses, enjoy their life and to make a difference! Which is why she created The Boardroom! Your Member Benefits – just ONE of these could change the way you do business. An Invitation to MaryEllen’s Annual One-Day Mastermind in Beautiful South Florida: MaryEllen loves to meet her clients in person and when she does, magic happens. This special day will be full of hot seats, problem solving and revenue idea generation. MaryEllen wiil even invite a “special guest” from her Braggable Network. Previous guests at MaryEllen’s events have included Mark Ford (aka Michael Masterson), Clayton Makepeace, Porter Stansberry, Jeff Walker. And that’s just to name a few (for yearly members and members in good standing for 6 months). We will automatically bill your credit card each month. If you ever want to retire your seat, your credit card will cease to be billed. (You must be a member for a minimum of 6 months to qualify for the special mastermind in South Florida). So, that’s just crazy! You save $594! That’s getting two months FREE! Plus, when you pay for the year upfront, you automatically have a seat reserved for you at the Mastermind in South Florida. Oh yeah, just a few words about MaryEllen from the world’s best of the best! “You can’t throw a rock these days without hitting some self-proclaimed guru who claims to be the “king” or “queen” of information marketing. Let me tell you something: Hawking a few of your own products online does NOT turn anyone into marketing royalty. To come by that title honestly, you need to have competed with the best. You need to have sold a wide variety of products for a wide variety of clients. You need to have done it over many years — in both favorable and unfavorable business climates. And having done all these, you need one more thing: To have achieved spectacular success. MaryEllen Tribby had exceeded these criteria long before I met her. When we collaborated at Weiss, she created the marketing plans that made Safe Money Report the largest investment newsletter in the world. She has earned her crown and her legend. “When it comes to creating an on-line newsletter, everyone knows that MaryEllen Tribby is the ‘go-to’ person to master this powerful media. It’s in part because she’s been doing it since 2000 and has helped launch some of the most successful ones in the financial, lifestyle, alternative health, biz op and entrepreneurship niches. Perhaps of even greater importance, it’s because she understands that by being in the on-line newsletter publishing business, you are delivering valuable information through a media that is far more believable than traditional media. If you plan on doing the same old, same old - you can plan on the same results. But if you are ready for your business to grow, you need to have the best resources on your side. P.S. I am really looking forward to personally working with you on growing your business to unbelievable new heights. We will start wherever you are today, and I will personally help you build and expand. Also, please sign up today. As the demand for this program grows, we will be raising the price, but as a charter member you will be grandfathered in at this price. I am also limiting the number of members of this program because of the private Skype text coaching option. I hope you will be one of the few who join me as a Charter Member of The Boardroom.